In the days of Austerity, people are making the most of lowering property prices by making investments for the future. Not bad if you can, but with this additional investment comes the possibility of incredible loss. 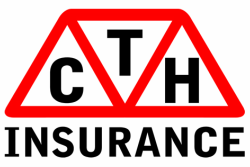 Insuring the structure of a building and the liabilities for which you are responsible can be a costly process but at CTH, we provide competitive Property Owners products. Ranging from Private Let's to Industrial Units and Buy to Let Contents policies, we have a range of policies to help.